Click on one of the thumbnails below to access the 2 photos of this aircraft. 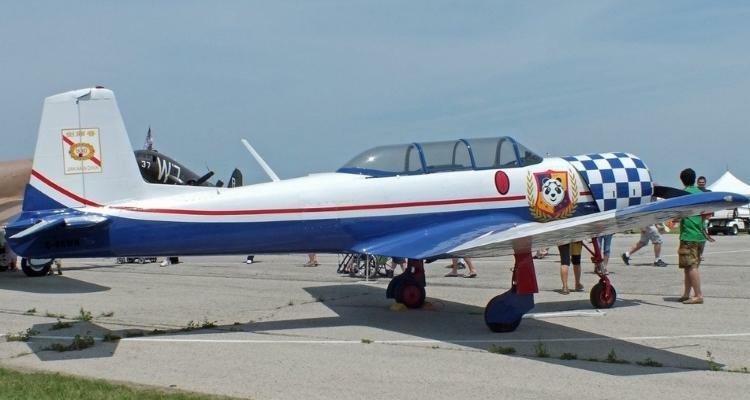 The Chinese Government obtained a license to build the Yakovlev Yak-18 training plane from Soviet Russia in the early 1950s. Allocated to the Nanchang Aircraft Factory, the airplane was called the Nanchang CJ-5 and several thousands were manufactured from 1954 – 1959. The Yak-18 tail dragger design dated back to 1945, so when the Chinese required a more up to date version for training jet pilots, aero engineers Bushi Cheng and Lin Jiahua were selected to redesign it. New features included an aluminum monocoque fuselage, flush riveting throughout, a retractable tricycle undercarriage and an altered wing airfoil, with a pronounced wing dihedral in the outer sections. This improved trainer, the CJ-6, came into production in 1959. Further development of the aircraft resulted in the CJ-6A model, powered by a HS-6A radial engine. Coming into production in 1962, more than 1800 CJ-6As were eventually built for the Chinese military as well as the air forces of Bangladesh, Cambodia, Tanzania and Zambia. As of 2007, this aircraft was still in production (CJ-6G model) for general aviation and crop spraying uses. It is believed that over 10,600 of all types have been built. An unknown number remain in military service around the world and over 200 are in private hands. 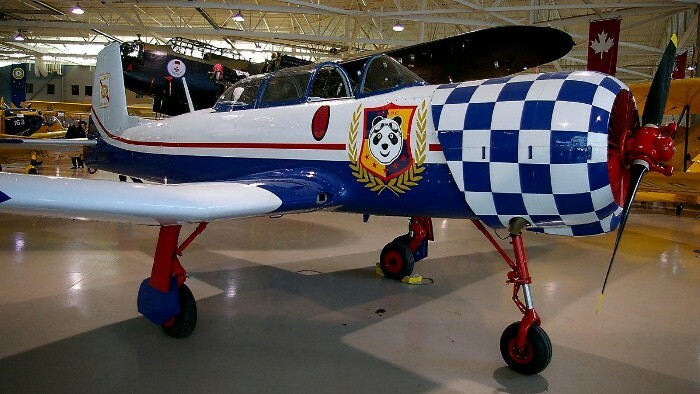 The Museum's Nanchang CJ-6A was once part of a Chinese military display team. Prior to being donated in November of 2009, the airframe had been refurbished and with an almost new engine and propeller, it is one of the lowest time CJs around. 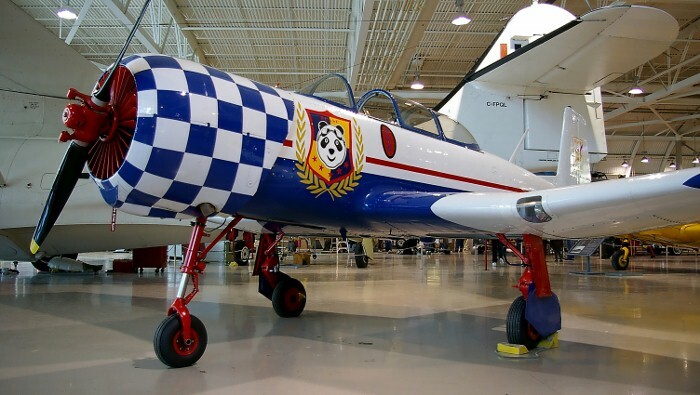 It displays the paint scheme of its earlier Chinese military use.